A football game is a great way to get your kids out of the house on the weekend and can be a fun, outdoor and indoor learning experience for the whole family. We have been Cardinals season ticket holders for many years and always enjoy going to the games. This year we got an extra ticket so our seven year old can attend all of the home games with us. She has been to a few games over the years, but is now old enough to appreciate the noise, excitement and commence cheering for our team. Scope out your seats and buy tickets in a location that works best for your family. Upper level seating can be a bit quieter and is less expensive. While the club level is more expensive, it also has a less rowdy crowd and great options for taking care of restless or over stimulated children. Be aware that you must have a ticket for your child (although an infant who is small enough can sit on your lap – check with the team’s website before you go to verify what age gets in free). Know where to park and the directions for getting into the parking lot and then the stadium. The parking lots range from near to far and cover a huge area – take time to know where you plan to park and, if possible, purchase passes in advance to make walking into the stadium easier. Anticipate meal times and plan food purchases and locations before you go. There are many food options in the stadium, but Westgate also has tons of great places to eat – better food at a better price. Plan mealtimes to make sure your kids stay on schedule and avoid the crankiness. You are not allowed to bring snacks and beverages into the stadium. Plan your safety and exit strategies – know how to keep track of your children and when to bail on watching the game. There are many activities for both adults and kids to enjoy before the game. 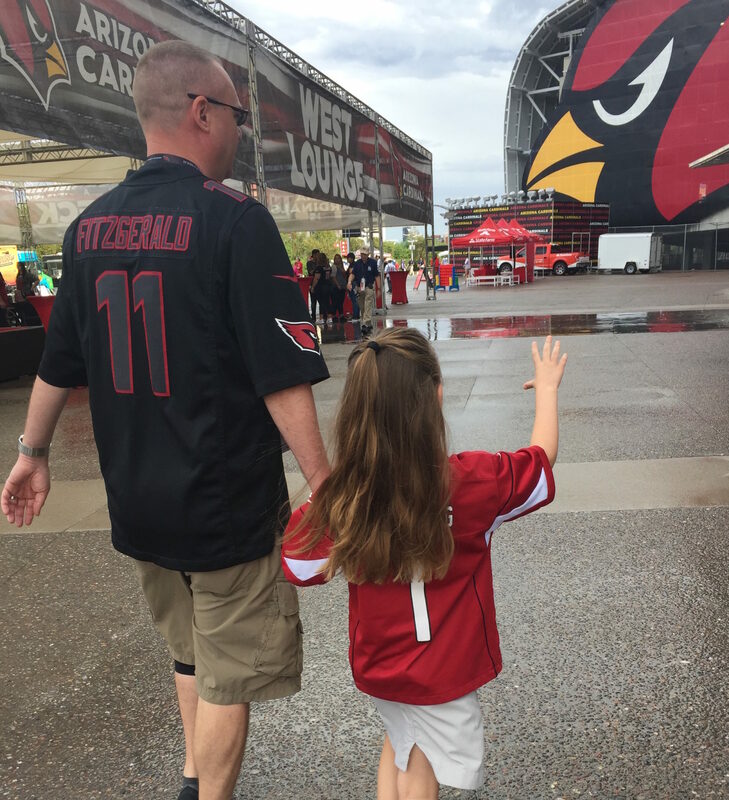 The Cardinals organization loves kids and provides events inside the gates for people waiting to enter the stadium, including: cheerleader autographs, football toss, photos, food, gift shops, freebies and handouts and much more. 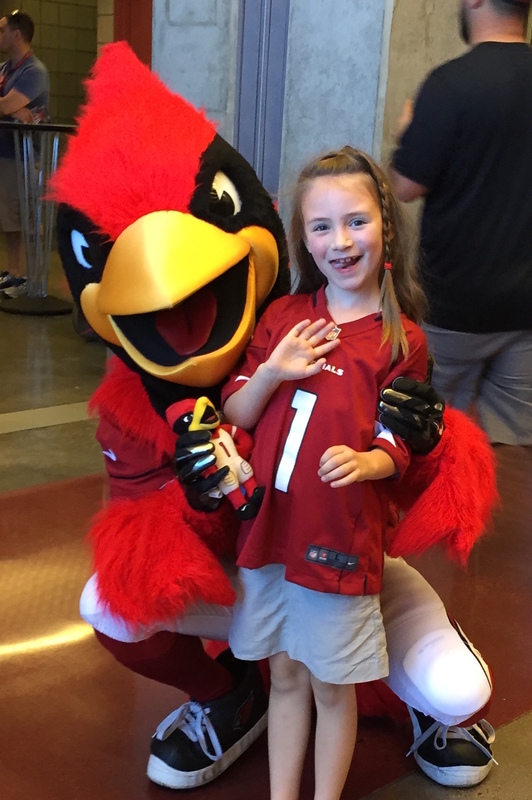 The Kids Club is open to kids aged 5 to 13, the Cardinals Kids Club is a great way to help your kids get excited about going to a football game. Some of the benefits of Kids Club include the opportunity for kids to hangout with players after training camp practice, be a Training Camp Junior Reporter, and even sign up to be randomly selected as a Kids Club Captain at home game Coin Toss. 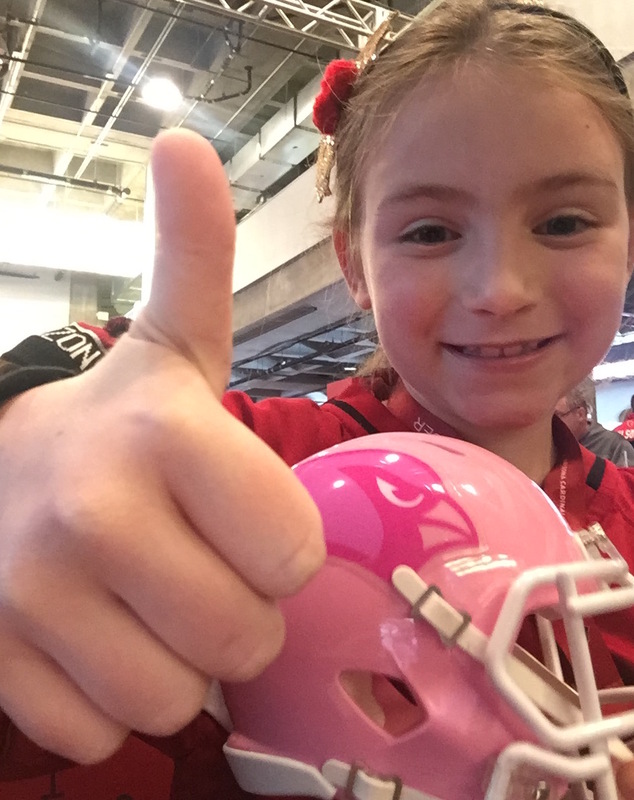 A few other highlights for kids include: the Cardinals mascot, Big Red, the Cardinals Cheerleaders, the Junior Cheer program, and the NFL Newborn Fan Club. There is some controversy among fans about whether a professional football game is an appropriate venue for a child. With that in mind, please remember that a football crowd can be loud, very excited and at times can become really rowdy. If you are concerned about exposing your child to adults engaging in less than adult-like behavior, check out the stadium layout in advance to find places to take your kid to get out of the crowd. Many parents also bring headphones and a mobile device with movies, music or games to help smaller children avoid the noise. 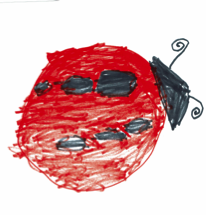 My advice – you know your kid best. Think about how they will react to huge, noisy crowds and sudden loud sounds. Some kids absolutely love football – others not so much.